Tennis Tournament, Wednesday 28 August. This year, we will stay in the Hilton Hotel the second Wednesday, the day of the traditional Tennis Tournament. We propose to those interested to organize the tournament during the second part of the afternoon (18:00-20:00) on the two courts of the Hilton Hotel. 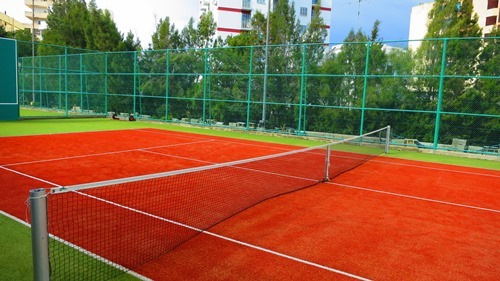 The Tennis Tournament Afternoon is organised the Wednesday 28 of August (16-00- 18:00). It is open to any player, including beginners who may wish to accept the challenge of meeting more experienced players.